Person – What did you do this weekend? Miss Thing??? Person – Well, how long is a long run exactly? This morning I realize that what I do and what I train for is impressive, just seeing her reaction this morning told me that. The little things that I think are insignificant, are really not THAT little. Now I want to back track to May. I had a little ‘Come to Jesus’ moment. When I realized that yes I work out a lot, but I was eating garbage. It didn’t matter how much I worked out, how many miles I logged, I was never going to get rid of the excess weight I had. (Not going to lie, vanity did play a big part in the ‘Come to Jesus’ moment). A friend of mine put me in contact with her cousin, who had started going to a boot camp. I had an epiphany when I signed up and was given an eating plan. I had to change my lifestyle, change what I ate and how I ate it. Once I did that it all clicked. Not going to say that it’s easy… But again it’s the little things. Like swapping out white rice for brown. Sometimes saying NO isn’t easy to do, but again it’s the little things. Yaya used to say, “La vida esta llena de poquitos” (Life is full of little things)… So it’s all about the little things and the realization that Rome wasn’t built in a day. But in the changing of all the little things, big things materialize… I’ve signed up for a couple of Olympic & International distance triathlons… Next January I’ll run my 2nd Full Marathon… And I’m commiting to train for a 1/2IM in 2013. So yes, it’s the little things that add up and make something great! Sometimes we need to find the greatness within ourselves without having someone else point it out. I’ve always enjoyed working out, but I had never really run, even though I enjoyed cycling and had done the MS 150 bike ride (150 mile bike ride from Miami to Key Largo) about several times. 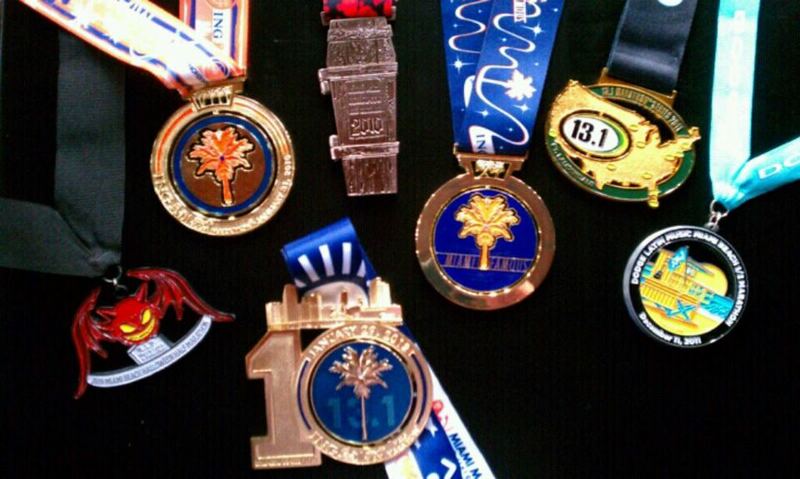 I had always had in my ‘Bucket List’ to run a marathon and I figured that ‘one day’ I would do one. I also figured if I can ride 75+ miles in one day then I could do a marathon without a problem. Then around June of 2009 I was talking to my Aunt Lili, who a year before had been diagnosed with a malignant brain tumor. In the course of the conversation she said that one thing she always wanted to do was run a marathon, but that now, she knew that she would never be able to. So I told her that I would run it for her. 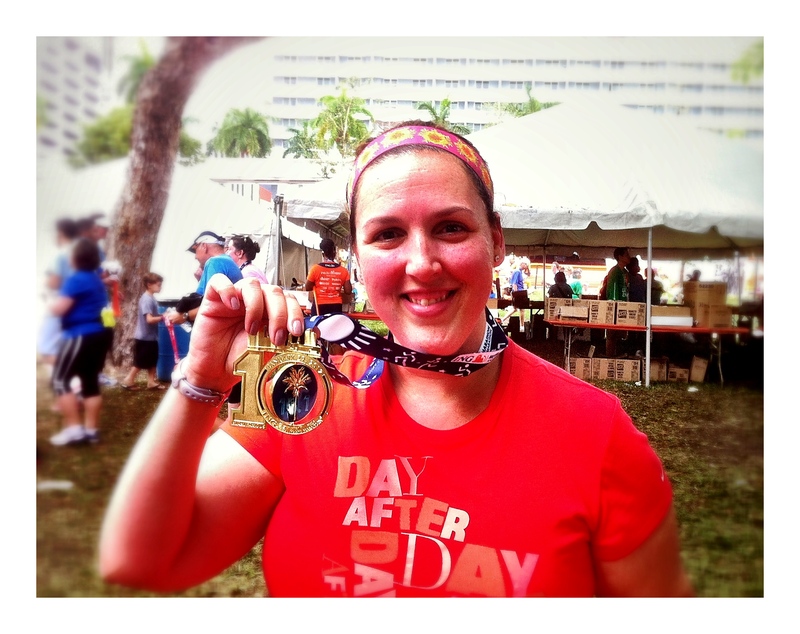 Without thinking about it I volunteered to run a full marathon, 26.2 miles, for her. So I had to figure out how, so I signed up for marathon training at Footworks. Week after week, after all of my trainings I would call her and tell her of the miles I had run. After every conversation, she would say “Loren, you’re CRAZY!!!”. I told her that she had to be waiting for me at the end of the marathon, she had to hold up her end of the bargain. I would run it for her, she had to cheer me on. 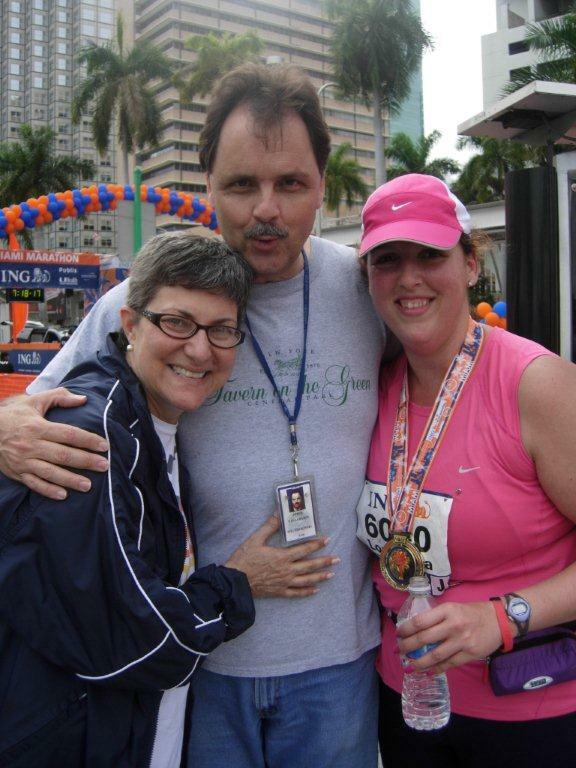 So on January 31st, 2010; as I turned into the finish chute at the ING Miami Marathon, the first face I saw was my Aunt Lili’s! She had heard my name announced and was cheering me on. She held on to her deal with me. I had pushed on the final miles of that marathon with what felt was concrete attached to my legs. But it was her beautiful smiling face that greeted me. Sadly on subsequent races, I won’t see my Aunt Lili’s smiling face, she passed away September 28th, 2010. She never had her ‘one day’, but I did. I know that not everyone will do a marathon, I read somewhere that only 1% of the population will ever complete a full marathon. And a marathon is not for everyone. But I’ve taken a liking to running, now I’m actually a group leader with Footworks Fitness 101 group. It’s great to be able to inspire other folks to get out there and do something. I know that I’ll never win a race, I’m happy with my 13-14 minute miles. When anyone asks me what my time is, my answer is “I finished!”. As I run and meet new people, I’ve discovered that everyone has a story. Everyone has a reason why they run.